The world is made up of two types of people, simplistically speaking. Those who like their water warm and those who like to throw in plenty of ice cubes. Water plays an essential role in our well-being, from skin care to good digestion and even avoiding migraines, there is a lot that merely the consumption of water can fix. However, according to science, both ancient and modern, the temperature of water when it is consumed is critical as well. I recently spent a weekend at an Ayurvedic Spa Resort where the meals were prepared and served following the (many) rules of Ayurveda. The most noticeable difference between dining in the restaurant there and dining anywhere else, was that the server always inquired whether you preferred warm water with your meal or regular water. This is a basic principle of Ayurveda, which recommends the consumption of a cup of warm water alongside your meals. Meals in China or Japan are always accompanied by warm tea. This isn’t the masala tea that we may be used to. 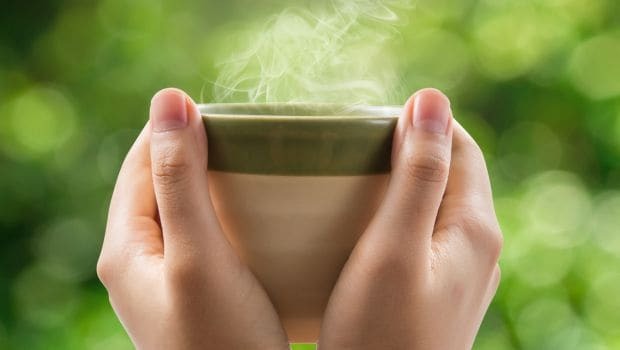 Instead, it is hot water with just a few leaves of green tea or some other leaf tea. My in-laws went on a month-long trip where they traveled across China, mostly by train. The one thing that they loved was that everyone carried an empty thermos and the trains had taps where one could refill hot drinking water from. Throw in a few tea leaves and sip it over time. For centuries, people in Japan have been following the ritual of ‘Water Cure’. This entails drinking 4 glasses of water every morning right after you wake up, even before you brush your teeth. What is important is that this water must not be cold. The amount of water one should consume depends on various factors like age, activity levels, weather, diet, etc. However, there are some broad guidelines that may be followed. If consumed along with your meals, approximately one cup is good enough. Having said that, if the meal includes dishes like soup or yoghurt, this amount may be reduced. The ideal amount to consume is important to understand as too much water with your meals may also satiate your hunger before you have eaten enough, and thus rob you of the opportunity to consume nutrients. As mentioned before, if had on an empty stomach in the morning, four glasses are what the Japanese Water Therapy recommends. If it sounds like a lot, start with one glass and increase it to four, over time. Intestinal movement is important to avoid bloating, abdominal pain and discomfort. Dr. Rupali Datta suggests that having warm water is great for internal ‘cleansing’. It regulates bowel movement and prevents constipation. 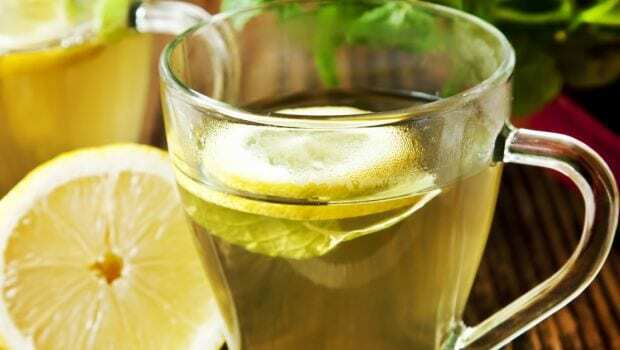 Drinking warm water raises your body’s temperature and helps release toxins. This detoxification, is great for glowing skin and unclogged pores. Anju Sood, a Bengaluru based nutritionist elaborates, “When you have warm water, the body has to work harder to bring down its temperature. Thus, the metabolic system is kicked off.” This further triggers the mind to demand food and stimulates hunger. 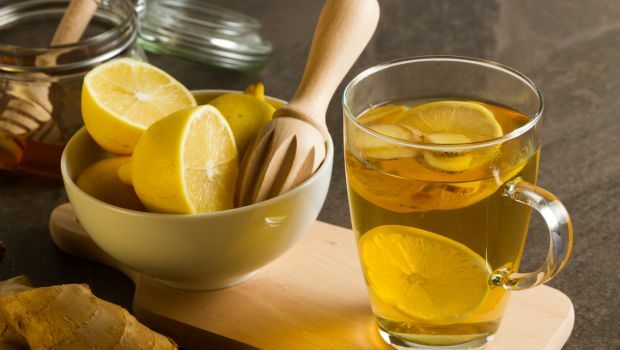 Though avoiding cold water when you have a sore throat may largely be an Indian old wife’s tale (many parts of the world do not even recognize this concept), it is indisputable that warm water helps clear out congestion and soothes an aching throat. The water helps prevent phlegm accumulation too. Menstrual cramps can be quite painful for some. A warm water bottle pressed against your belly may be your favourite way to deal with period pain, but did you know that drinking warm water can help too? Studies suggest that drinking warm water increases blood circulation, which works as a pain reliving mechanism. According to Ayurveda, all kinds of water are not absorbed at the same rate by the body. Regular water takes around 6 hours to get absorbed, whereas water which has been boiled, takes only half that time. What is interesting to note, is that Ayurveda does not insist that you have the boiled water hot. It says that boiling water for ten minutes enriches it with energy and stimulates agni which in turn helps digestion. The very properties of water are said to alter after boiling. It is said to be beneficial to sip on this water all through the day, reheating it is not required as the nature of the water is now warm. Water kept overnight loses these properties though. Boil fresh water every morning for best results.